30 seconds to say who you are, what you do, why it's important. It just doesn't seem like enough time, does it? Your name. No kidding, please don't forget this part. What you do. This should not be confused with your job title. "What you do" is a description of your goal or tasks. 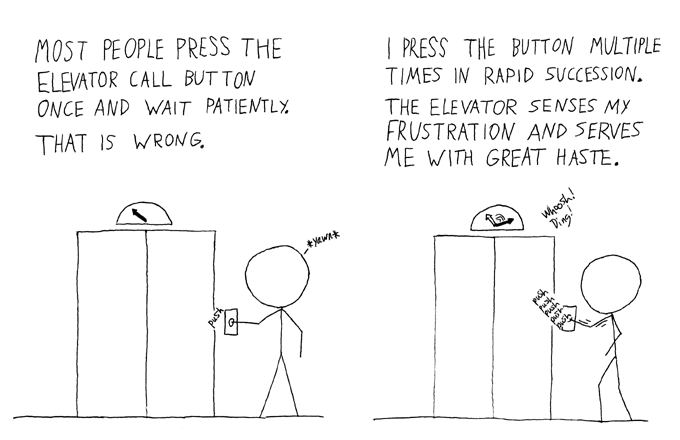 Why it matters to the other person in the elevator. Do not have to be used in elevators alone. They are a great tool for use at social gatherings, conferences, when you're introduced to someone in a hurry, or really anytime you need to get started with an introduction. Do not need to take the full 30 seconds. Should be in simple, easy to understand terms that anyone can comprehend. Practice makes perfect, so think about your 3 step pitch guide and use this 30 second timer to see if yours is brief enough. How'd you do? We want to hear/read your elevator pitches! Add your 30 second (or less) self-promo in the comments section. Also, if you have any questions or can't think of a good way to simplify what you do, let us know. Think what you do is too complicated for 30 seconds? We're ready for the challenge. This week in Images from the Lab we're taking a peek inside the Greco Lab at Yale University. The principal investigator, Valentina Greco, PhD, and her students work on studying stem cells in the hair follicles of mice. A bench in the lab where stem cells in the hair of mice are studied. Hot water baths, kept at 37 degrees Celsius. 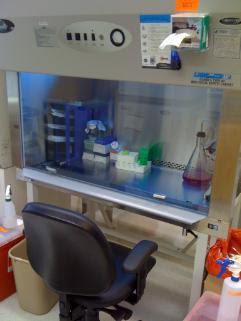 Cell culture hood with UV light on. The UV light is turned on when no one is using the hood to kill anything inside and keep everything sterile. Thanks goes out to Elizabeth Deschene for providing these images. Come back next week for more images from the Greco Lab, including a closer look at their microscopy techniques. We want to see images from your workspace too! Email hbenson at researchamerica.org to share your photos in New Voices Images from Around the Lab. Last week, we introduced Elyse Walker, a PhD student with Dr. Christopher Gobler in the Gobler Lab at Stony Brook University's School of Marine and Atmospheric Sciences. Today we're sharing the second half of that two-part interview. NV: How did you get to where you are today? Elyse: I have taken an unusual path. I learned about phytoplankton while volunteering at a local marine science center in 8th grade and decided then that I wanted to study them for the rest of my life. I looked up scientific articles, starting with easier-to-read journals like Science and Nature. 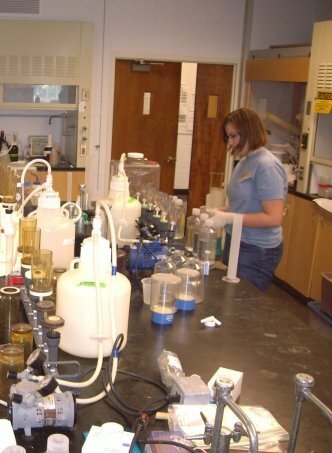 When choosing an undergraduate school I looked for marine science programs that supported undergraduate research and had multiple faculty that studied phytoplankton. 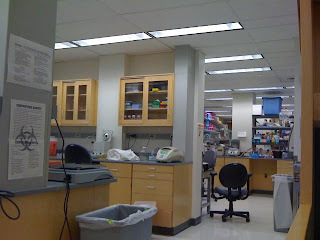 I started working in a lab as a freshman and worked in 3 different labs at my university, as well as doing 3 summer internships, during my degree. Through working on a variety of questions about phytoplankton in those labs and internships I decided that harmful algal blooms are the best focus for my research right now. NV: Who is your scientific role model? Elyse: This is a hard question for me. I have had a lot of role models along the way, but always cherry pick what I like about any individual. I want to emulate how my Ph.D. advisor works with local governments to do monitoring and does interviews for journalists frequently to publish about our research. I'm inspired by Sonya Dyhrman, who collaborated with Whyville, a youth educational game website, to add in harmful algal blooms to the game. 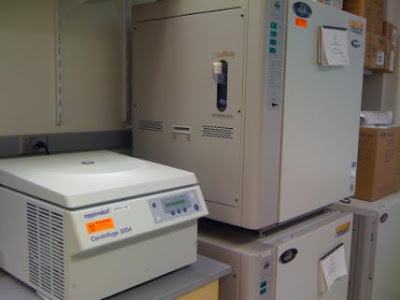 I would love to work with the group at the Monterey Bay Aquarium Research Institute who developed the Environmental Sample Processor, which can be deployed long term to detect harmful algae species and/or their toxins in coastal waters in real time. I have also been encouraged by a few mentors who balance their work and family life extremely well. NV: What one thing would you change about the culture of science? Elyse: I wish that the scientific method was more broadly applied in daily life. I think people could improve their understanding of the world around them, and their quality of life, if they understood basic principles and applied them regularly. For example, while doing a regular commute in a temperate climate, I tested the fuel efficiency of using a/c versus open windows at different speeds to help guide my a/c use in the long term. This seems crazy to most people, but the knowledge I gained empirically has saved me a lot of money over the years. NV: What's the most common misconception about scientists? Elyse: I haven't really experienced any misconceptions. I am trying to introduce myself as a "scientist" rather than a "graduate student" and the response is usually, "I have never met a scientist before! Tell me about what you do." This offers a great opportunity to tell people about phytoplankton in general, and sometimes harmful algal blooms, too. NV: What's your next step after you complete your degree? Elyse: My long term plan is to start a harmful algae monitoring, research, and education program. I want to monitor local marine and freshwater locations for harmful algal blooms and notify the public of their occurrence (through website updates and occasional newsletters). 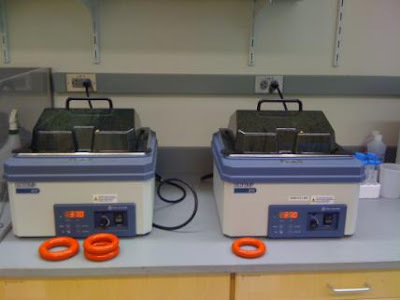 I will simultaneously do research with both natural samples collected during monitoring and laboratory cultures to learn more about the causes and effects of harmful algal blooms. Finally, I hope to design educational displays for aquariums and science centers about local harmful algal blooms and their impact. I'm not sure where or how I will achieve this goal yet, but I have a few years to figure it out. Thank you to Elyse for giving us her time via email so we could learn more about her and her career. Today New Voices tackles one of America's greatest fears: public speaking. It's normal to be nervous public speaking and my best advice is just to keep doing it. While this tip might not help much for any individual talk, every time you step in front of people to speak, it gets easier. If you have a serious complex about giving a specific talk, write down what you want to say for each slide. The act of thinking through your message for every slide and putting in on paper will help you organize your thoughts and might calm you a bit as well. Here's a nontraditional tip that works: if you can provide food, even just a plate of cookies or fruit and some coffee, do it. Something about speaking to an audience chomping and chewing makes them seem non threatening. Be forewarned - if you feed them too much, they will inevitably fall asleep afterward. The hardest part of presenting, at least for me, is speaking at a pace that the audience can understand. It is easy to get too nervous or excited and start rushing through your talk, frantic to get to the end. However, people tune out fast or incoherent speech, so they won't listen to or retain anything you say. Breathe. It seems obvious, but taking some deep breaths before your presentation and between sentences can help you slow down if you're getting ahead of yourself. Look people in the eye when you're speaking. This way you can see if people are understanding what you're saying and slow down if they aren't. Take a pause. Pausing between phrases allows your audience to absorb and make sense of what you're saying, and helps you make your point. When it comes to public speaking, I find presentations to small, intimate groups of people I know MUCH harder to speak to than rooms with 1,000 listeners (I’m guessing this has something to do with my theater background). My biggest issue has always been fidgeting. I’m of Italian heritage and talking with my hands comes pretty naturally to me – especially if I’m nervous. To keep from flailing all over the place, I try to rest my hands on the edges of the podium in front of me. If I don’t have a podium, I try to not carry pages of notes. Papers make noise in motion; so if there has to be something in my hands, it’s going to be note cards. 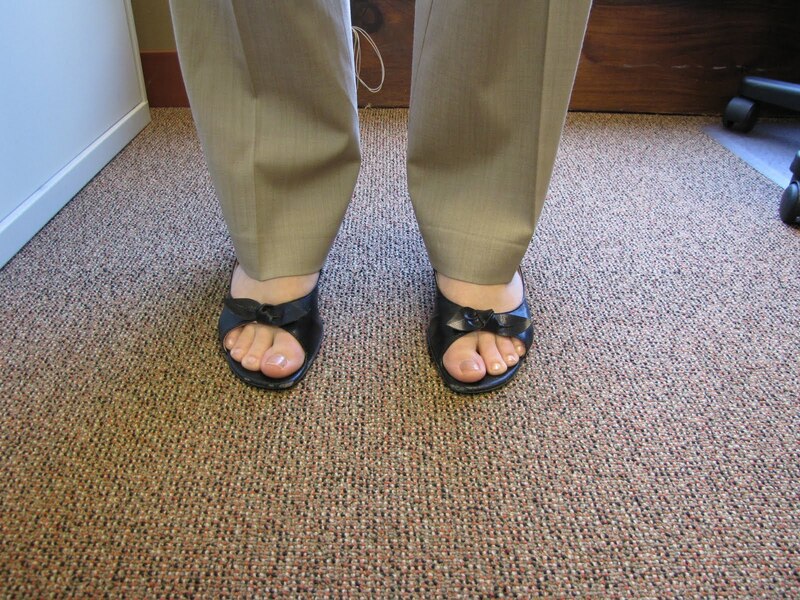 Also, if you find that your legs are as fidgety as your arms, slide one foot just slightly forward so they are a bit staggered. (I find placing the ball of one foot at the midpoint of the other to be least obvious and most functional.) This prevents you from rocking (unless you want to fall over) and gives you a stance to come back to if you are prone to pacing. 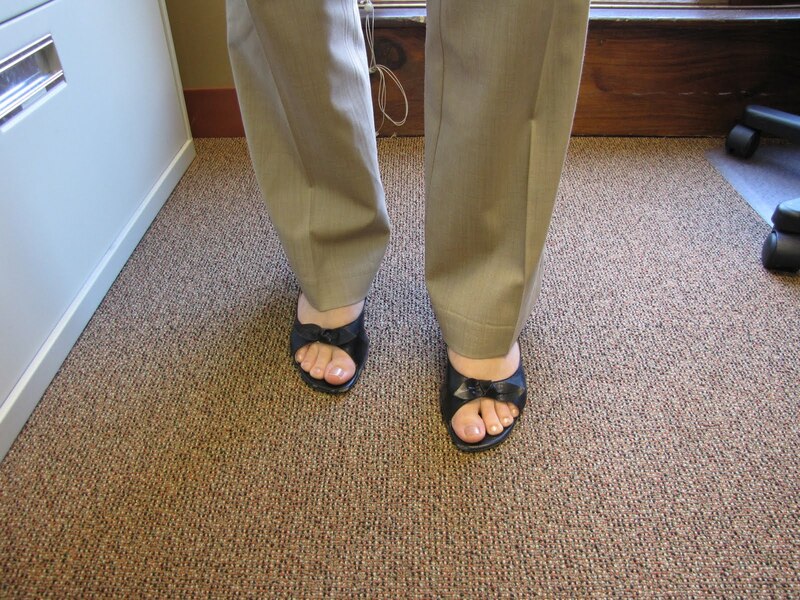 The pictures below demonstrate what I mean: the left shows balanced even feet and the right shows how to simply slide one foot back a few inches. Staggered feed will make a huge difference in how you can (or can't) move while presenting. Thanks to our New Voices co-blogger Emily for demonstrating! 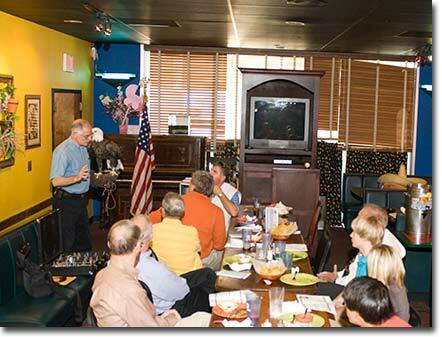 What tips would you give to burgeoning public speakers? What is the most difficult thing for you to overcome when public speaking? Yes, we have to. 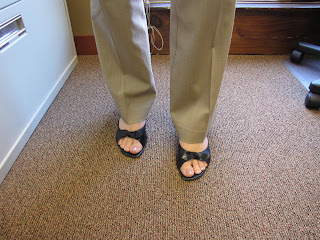 Today’s post focuses on a topic that no one really likes to talk about. It makes men uncomfortable and women anxious and apprehensive. The topic of the day is mammography. Few women look forward to having the uncomfortable procedure, but for years women, beginning at age forty, have given in and started getting them annually. However, last fall, the US Preventative Services Task Force (USPSTF), changed their recommendations and said women didn’t have to start getting mammograms until age 50, and then only biennially. Their decision sparked outcries from both sides of the issue. Many cancer groups, including the American Cancer Society, vehemently disagreed with their new standards, while other groups, like the National Breast Cancer Coalition, praised the decision, saying it will allow for focus on finding more effective methods of detection and prevent excessive treatment. The decision and backlash, overall, left many women not knowing what to do in their own lives. The Coalition for Life Sciences held a briefing on Wednesday discussing this issue, and the speaker, Dr. Ann Partridge, MD, MPH, a clinical breast cancer researcher at The Dana-Farber Cancer Institute in Boston, explained how the decision was made, and what she thought women should do for themselves given this new information. First, she discussed that the USPSTF had made its decision by reviewing the literature pertaining to mammograms given to women under age 50. The studies showed a slight improvement in mortality rates from breast cancer with annual testing from 39-49 but also greater discomfort, lower accuracy, and much higher false positive rate with the test in this age range. The studies also showed no discernible difference in mortality with biennial testing as compared to annual testing. Given all the downsides, she said, the task force chose to stop recommending the procedure for women in this age group. However, she emphasized that this is a choice each woman needs to make with her doctor on a personal level. She should decide when to start getting mammograms and how often based on family history, possible risk, past health issues, and her own personal belief in the test. No woman, Dr. Partridge confirmed, should feel like she cannot get the test if she wants it. It is a personal choice and the task force was merely saying that the risks might outweigh the benefits for women in their 40s, and that these women should make their own decision. So, women, talk to your doctor and make sure you understand these new standards, and make whatever decision is best for you. One concern however, was that in some of the studies, even when assigned to the group to be tested annual, only 70% of the women got tested, meaning 30% did not. So if those who voluntarily sign up for studies don't get tested when they are told to, what does it mean for the rest of us? Will this more lenient recommendation severely lower the rate at which women get tested? Tell us what you think in the comments. In the early 90’s, administrators at MIT realized that many of its students, while brilliant, were socially challenged. The bastion of engineering was producing geniuses that couldn’t give a decent handshake, talk to strangers, or dress reasonably. The solution? Charm School. The university offered students the opportunity to fill any social holes that might have developed as a byproduct of possessing a superior technical intellect. The program was deemed a huge a success, and now in its 17th year, is popular and thriving. Science researchers are another smart group that suffers from social deficits – namely the ability to communicating the importance of their work to those outside their fields. Should they be required to attend “Communication School”? In 2007 there was a push from Congress to require scientists to do exactly that. The America Competes Act, which was a bill that intended to funnel big bucks to research powerhouses like the National Science Foundation (NSF), NASA, and the Dept of Energy, contained provisions requiring graduate students “to be trained in the communication of the substance and importance of their research to non-scientist audiences”. While the 2007 Competes Act made it through both houses of Congress, and was signed by the President, select pieces of it were not funded during appropriations. One of the casualties was the science communication training. 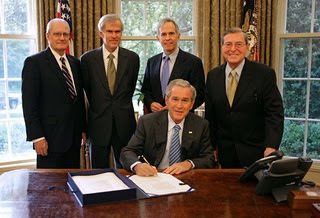 The science outreach community was disappointed by the 2007 Competes Act, and hoped for a chance of redemption this year when the 2010 America Competes Act was being written. Unfortunately, any language concerning communicating to non-science audiences is conspicuously absent in the 2010 version. Nearly all of the outreach wording in the 2010 Competes Act specifically focuses on energy, STEM education, and commercial applications of research - a sign of the times. There may be a glimmer of hope. For some time, NSF has required researchers to address the broader impact of their research when applying for grant money. It is unclear exactly how much weight is placed up this review criteria but applicants are supposed to emphasis how the work benefits society and/or broadens dissemination of scientific and technological understanding. This is a good start and there are murmurs the NIH will soon follow suit and require similar activities from their grant applicants. It may seem like an impossible feat to get scientists communicating about their work, but if the students at MIT's Charm School can learn Israeli folk dance, surely scientists can learn to do a better job of explaining why people should care about their research. Azucena Ramos pipetting in a lab at Harvard. Thank you Azucena! We want to see images from your workspace too! Email hbenson at researchamerica.org to share your photos in New Voices Images from Around the Lab. Today we're sharing the first of a two-part interview with New Voice Elyse Walker, a PhD student with Dr. Christopher Gobler in the Gobler Lab at Stony Brook University's School of Marine and Atmospheric Sciences. Elyse: I am a scientist. I study phytoplankton, which are microscopic photosynthesizing cells, or algae. Phytoplankton are the base of most marine food webs, produce the majority of the oxygen we breathe, affect global and local climate, and are generally beneficial to the environment. However, sometimes specific species of phytoplankton grow faster than they are eaten and either produce a toxin or negatively affect the environment, forming a harmful algal bloom. Harmful algal blooms can make people sick, hurt the environment, depress local and regional economies, and are getting more frequent, widespread, and toxic. For my Ph.D. dissertation, I am examining how dissolved nutrients contribute to a harmful algal bloom, nicknamed "brown tide," that occurs in Maryland, New Jersey, New York and Connecticut. Elyse: There are really two exciting components for me: discovery and making a difference. I am fascinated by phytoplankton and love discovering new information about them. We have so much to learn about such a diverse group of organisms that every paper gives me a new perspective. By focusing my efforts on harmful algal bloom causing phytoplankton, I hope to make a difference in the world, especially locally. The more that we learn about what causes harmful algal blooms, the more likely it will be for us to find solutions for the problems that they cause. NV: What's the most challenging part of your job? Elyse: I think it's sticking with it when nothing works. As a scientist, I am constantly adapting new methods to approach a problem and have to be diligent in my efforts. I have to be creative, observant, and detail-orientated to get meaningful data. This can be very challenging in the long term, especially when things don't work for a long time. Elyse: I'm not sure I can remember a time when I wasn't interested in science! As a child, I did science activity books and remember learning about plants and photosynthesis, stratigraphy, tectonic plates, tides, rainforests, pelicans, otters, whales, and salmon. My mom remembers me coming home from school one day when I was around 7 and announcing I was going to be a scientist. I never changed my mind. When we did career aptitude tests in 7th grade, science and technology was my best category, so I planned on college and graduate school and never looked back. I was really lucky to have family support (my mom always said I could achieve anything I wanted) and a good sense of self (I never changed my mind when being made of for being "geeky"). NV: What advice would you give to someone who wants to get involved in marine science research? Elyse: For undergraduates, I recommend looking for paid summer research internships in December and January (most deadlines are in February). For example, the National Science Foundations funds Research Experience for Undergraduates (REUs) listed on their website, the Department of Energy funds Summer Undergraduate Laboratory Internships (SULI) at the national laboratories, and institution-based programs like Woods Hole Oceanographic Institution's Summer Student Fellowships and Monterey Bay Aquarium Research Institute's Summer Internship Program. If you know what you want to do, find scientists doing it and contact them to see if you can do an internship with them. That's how I found out about the SULI. I made $3000-$6000 every summer during undergrad, which I used to pay off most of my student loans when I graduated. Some of my work was included in publications, which really helped when I applied for graduate school. For high school students, I recommend finding local aquariums, marine science centers, or university labs where you can volunteer. If your school has a program with a local community school or technical college, see if there are related courses you can take. For example, I took a Natural Resources Technology course my senior year where I learned water quality monitoring, surveying, and GIS skills that were useful later. This is part of the ongoing Profiling New Voices series. Check back next Wednesday to read the rest of New Voices interview with Elyse. Upon arriving at Research!America last month, I was asked to define a project I would partake in over my time here that would be both interesting to me and helpful to the organization. The possibilities were endless, and I thought long and hard about what I would choose to study and how to go about it. So here’s what I need from you, New Voices! Are you a lab scientist who takes time out of your admittedly busy schedule to do some form of public outreach (especially to your elected officials)? If so, I’d love to talk to you and ask you some questions about your work. It’ll be great to hear how different scientists all over the country are prioritizing advocacy and why. So please leave a comment or send me an email at aortman_at_researchamerica.org and let me know if you’re willing to answer a few questions. It will help us here at Research!America to better understand advocacy from the point of view of scientists, and how to persuade more scientists to be advocates. And it would be great, from one scientist to another, if I could have some more data for this experiment. With Elena Kagan’s confirmation hearings just completed and a vote expected at some point next month, let’s review a few interesting Supreme Court cases that have impacted science. 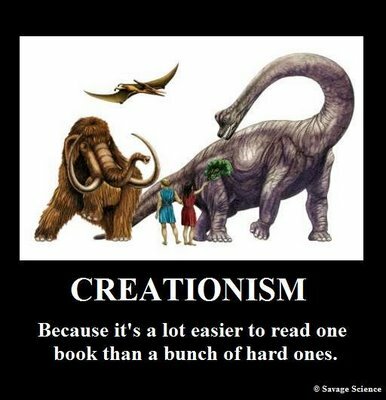 In 1982 the Louisiana state legislature passed the “Balanced Treatment for Creation-Science and Evolution-Science in Public School Instruction Act”, which required that when evolution was taught in a public school, “creationism science” must be taught as well. Lower courts ruled against Louisiana citing that the actual purpose of “creation science” was to promote a specific religious doctrine. The State of Louisiana appealed to the Supreme Court. In 1987, in a 7-2 to vote, the Act was ruled unconstitutional. The Supreme Court found that although the Louisiana legislature claimed the Act protected academic freedom, it actually limited a teacher’s ability to decide what scientific principles to teach. Jason Daubert was born with serious birth defects. His parents believed that Bendectin, a drug used to treat morning sickness manufactured by Dow Pharmaceuticals, was the cause of the defects. The Dauberts sued Dow, and during the trial submitted scientific evidence that the defense claimed was based on questionable animal research and reanalysis of other published studies. A district court sided with Dow Pharmaceuticals when judges on the case determined that the Dauberts' medical evidence was not scientifically valid. The Supreme Court was asked to review the decision and agreed to do so. 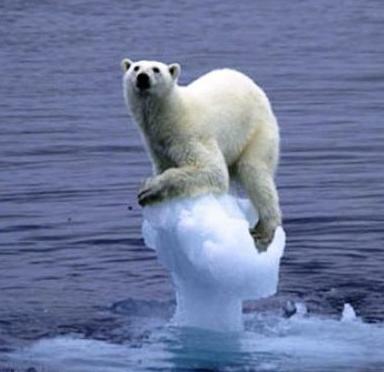 In 2003 the EPA decided that under the Clean Air Act, it lacked the authority to regulate carbon dioxide or greenhouse gases for climate change purposes. Twelve U.S. states took the EPA to court in an attempt to get the Agency to change this determination. In 2006, the Supreme Court agreed to hear the case. In a highly controversial and super charged political trial the Supreme Court voted 5-4 against the EPA. The Court rejected the EPA's argument that the Clean Air Act was not meant to refer to carbon emissions. The four dissenting judges argued that there was not enough evidence to claim that greenhouse gas emissions contribute to climate change, but they found themselves in the minority. Considering the current political climate, we can expect Elena Kagan to have many opportunities to weigh-in on cases involving science. Issues of cloning, stem cell research, and energy policy will most likely appear before the nine black robed powers in the very near future. 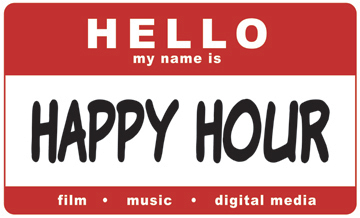 You're invited to join New Voices for Research at a happy hour next Tuesday from 5:30 to 7:30 p.m. at the Laughing Man Tavern in Washington, DC. Members of the New Voices for Research community will be gathering to eat, drink, and communicate! This is an excellent opportunity to meet your fellow New Voices in person. When: Next Tuesday, July 20, 2010 from 5:30 to 7:30 p.m.
You don't have to RSVP, but it would help us reserve enough space. Drop us a line in the comments (with at least your first name or a screen name) and we look forward to seeing you there! 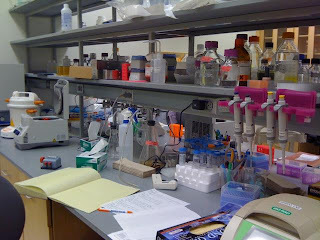 This week's Images from Around the Lab were submitted from a neurobiology lab at the National Institutes of Health. Scientists manipulate a frog oocyte (read: really big cell) using a technique called patch clamp recording. 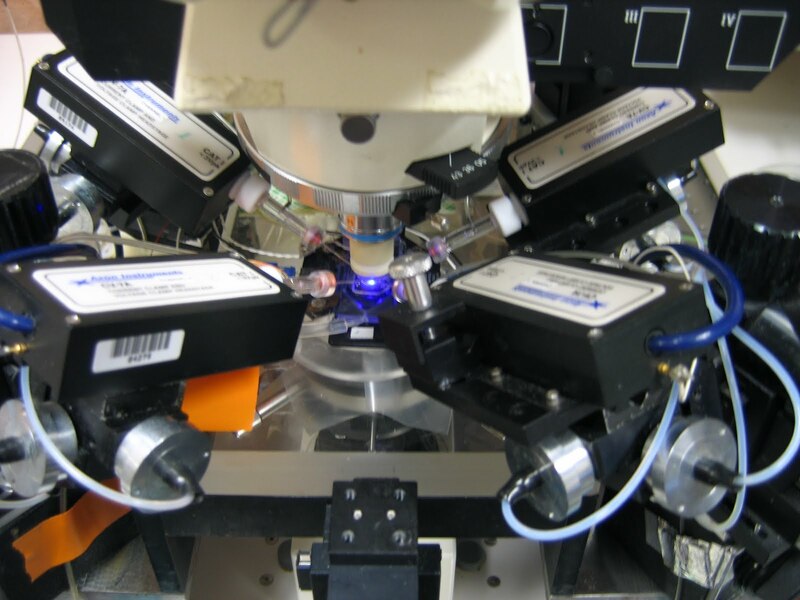 With this quad patch clamp, scientists can inject currents of different concentrations and voltages across a cell membrane. 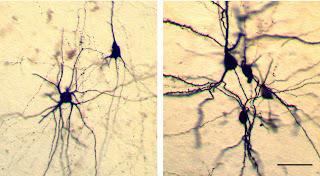 Images of a cell after it has been injected with a tracer. Scientists are not typically masters of communicating the importance of their work to those outside their field. Normal procedure is to quietly slip a scientific paper into a highly specialized journal, guaranteeing that it will be completely ignored by the general public. A publication in even one of the best journals like Science or Nature might, at most, garner a five second mention on National Public Radio. Sure, the physicist Neil DeGrasse Tyson has been on the Colbert Report 15 times, but for the most part, there is little attempt from scientists to expose mainstream America to what they do. Working in Washington has opened my eyes to the fact that other fields operate differently. On June 14th I was invited to attend to a press release on Capitol Hill of A RESEARCH PAPER! Two economists analyzed how woefully sluggish the FDA regulatory process is and wrote a report demonstrating that huge sums of money are lost by slowly bringing new medicines to market. It is a well designed and written study, but what was most impressive was the level at which these researchers publicized their work. The paper release was loaded with reporters, photographers, staffers from Congressional offices…there was even decent food. Could that be more different from science? The publicity worked as well as Barry Bonds after a visit to his special "muscle trainer". A Google search for “The Cost of Caution”, the title of the report, produces 205 hits. The study received major attention from multiple fields. Journalists and bloggers from investors.com, medicalprogresstoday.com, Bloomberg's Businessweek, and Forbes magazine, all wrote pieces on the report. There are even facebook posts and tea party websites that covered the paper release. Science researchers would be smart to try and replicate this formula. Far too little effort is exerted on the public outreach side of science. Imagine a world where a paper from the Journal of Molecular Ecology is explained in normal terminology to a group of interested reporters. It is not impossible but will only start with greater outreach from the researchers themselves. What could be worse than death? For many people, public speaking. National surveys have found that many Americans rank fear of public speaking as their number one fear, even above fear of death. We here at New Voices often request that our readers stand up and be advocates, but sometimes it’s not easy for people to speak up – not because they don’t want to, but because they are terrified to do so. Fear of public speaking (also known as glossophobia) is more common than you might think. Research has shown up to 70% of Americans list public speaking as one of their biggest fears. Unlike the experience of those of us with just a normal level of nervousness during public speaking, for those with glossophobia, the anxiety does not go away as a presentation or speech continues, but increases. The speaker notices how nervous they are, and instead of focusing on how well they are speaking, they focus on the symptoms of their anxiety, which makes the feelings worse. This often means that unlike most of us who are relieved once we are finished speaking in public, those with glossophobia are often even more anxious and upset than when they started. There are many proclaimed cures for fear of public speaking, and some of us here at New Voices will be posting personal techniques we use to overcome our fears of public speaking. So, how do you go the distance and get over your fear of public speaking? Give 110% by letting us know in the comments and we can include your tips in our post later this month. Today, New Voices welcomes Brian Hunsicker to guest post about communication. 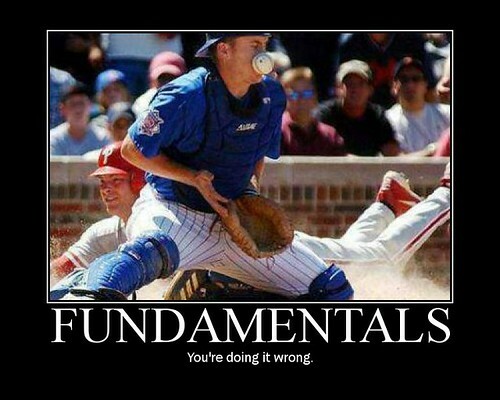 For the sake of Sports Cliché Week (July 11 to 17), I'm reversing everything I’ve taught myself since 1997. In a 12-year career as a sportswriter, I groaned at the sight of “gridders” and “cagers.” I shook my head at stories that began with, “What a difference a year makes.” I became visibly agitated at clichés of construction (overbearing parallel structure (right column)), thought (cursory opinions with no insight) and, of course, verbiage (Player X stepped up! Armchair quarterbacks! Any catchphrase from a SportsCenter anchor after the Craig Kilborn era!). So, with great mental anguish and a healthy sense of humor, we press on. First base: Show, don’t tell. This is the first rule of any communication. Think of it like this: If you were speaking to a group of middle schoolers, you’d certainly have demonstrations and examples to drive home the point you’re talking about. Are kids of that age going to listen to a lecture? Of course not. Just because you’re excited about a certain subject doesn’t mean that others are. But the good news is that you can get them excited. When you’re speaking, think about your audience beforehand and figure out ways to engage them in what you’re talking about. Different audiences will have different interests (though I think we can all agree that explosions would be cool for any audience). It’s your job, then, to connect the dots between what you’re trying to say and how you’re going to show this to the audience. When you’re writing, think about word pictures and details. Which sounds more interesting? Choice B is significantly more enthralling. You build suspense, and supplement that with words that can put a visual into your readers’ minds. The beauty of the English language is the flavors of words: blue, aqua, turquoise and teal all mean roughly the same thing – but each is slightly different than the other. Challenge yourself to find unique ways to describe a certain event or action. Be wary of overwriting, however. Make sure your details are relevant to what you’re talking about, and don’t meander. It’s easy to get caught up in creating this beautiful prose, but it will be for naught if your reader gets bogged down in all of the details. Check back or subscribe now to see Jimmy Hitsalot's progress around the bases. Brian Hunsicker is the communications specialist at Research!America. He has a Bachelors of Arts from Moravian College in English. This is his first guest post for New Voices. The patio outside our office hovers in the 100's again today reminding us that it is definitely summer, and here at New Voices, we're all about seasonal good eating - both delicious and healthy (most of the time). When it comes to seasonal foods, nothing says summer like grilling. Here's a great article about entire meals for the summer, with a focus on grilling the perfect, mouth-watering steak. Reading this even made me crave a good steak (and I usually hate it!). If you dislike doing dishes, grilling your side dish veggies and dessert can make clean up a breeze. Vegetables that taste great with a little olive oil and vinegar (try balsamic!) on the grill: asparagus, eggplant, and zucchini. Want a little sweet? Try grilling up sliced pineapple or cherry tomatoes. For the perfect combination of zing and spice, try stuffing pepperdews with sausage and a morsel of mozzarella and grill until they're caramelized. Healthy, quick, and perfect for summer get-togethers. Okay landlubbers - here's a little piece of Florida for the weekend. A friend of mine grills dolphin (mahi-mahi, not porpoise) using this recipe and it is fantastic. It would probably work well with any whitefish. Use 2-3 inch chunks of fish (make sure the blood lines and skin are gone). Melt a stick of butter in a bowl and add finely grated parmesan cheese. You want to make a paste out of the bu tter and cheese and it helps to make sure the melted butter has cooled (but is still liquid) before adding the cheese. Next add a generous amount of minced garlic, finely chopped onion, salt and pepper to the paste. Drop the chunks of dolphin into the paste, covering them. Then wrap a piece of bacon around the fish chunk, cover with more delicious butter/cheese paste, and use toothpicks to secure it. 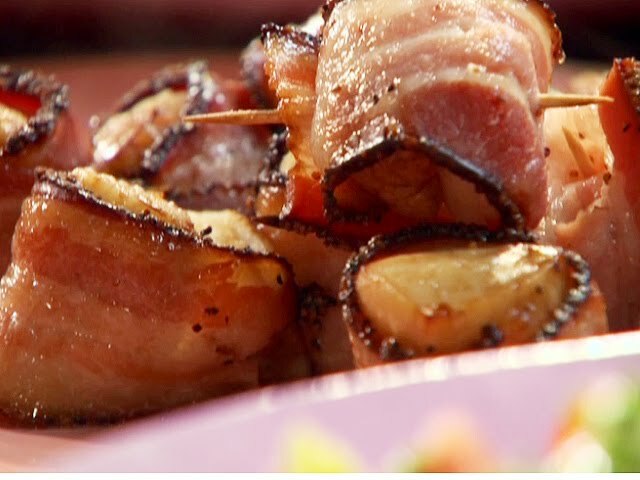 If you're feeling really wild, you can add a slice of onion or a chunk of tomato between the bacon and fish. Drop these fishy pieces of heaven on the grill for about 4 minutes per side. Bigger chunks might take a little longer. When you grill them, keep them away from the flame or heat source because the bacon burns easily. That's what we like, what's your favorite thing to make on the grill? This week's Images from Around the Lab takes us south to the University of Alabama at Birmingham. A 3T Siemens Magnetom Allegra Magnetic Resonance Imaging (MRI) and Spectroscopy scanner (for heads only). The Detecto 6550 is a folding, portable wheelchair scale. NIH ARRA funding is supporting members of the Sontheimer Lab team (from left to right): Lindsay Moore, Tiffany Dy, Brian Haas, Tia-Tabitha Barclay, & Vishnu Cuddapah. 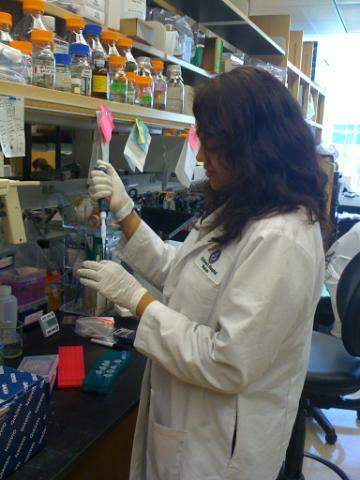 One line of study the lab is working on is glioblastoma multiform - a particularly aggressive form of brain cancer. 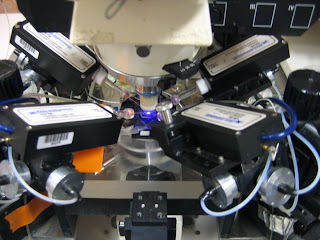 This is the electophysiology rig, which is used to look for electrical properties in cells. 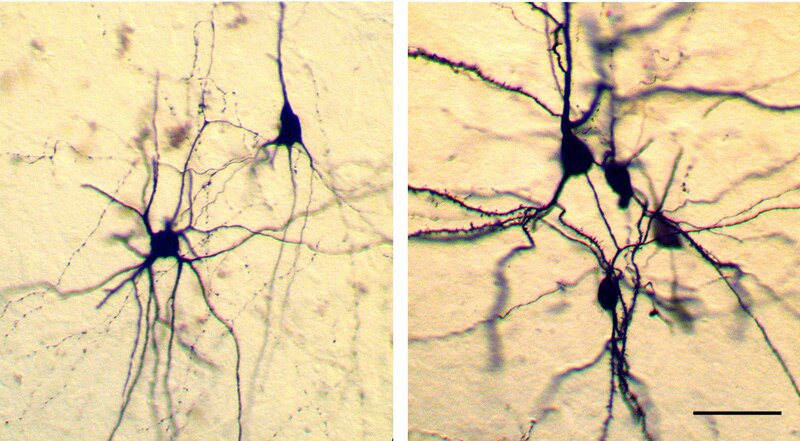 By examining biopsied cells from patients (or samples of cells that have been implanted in the brains of mice), scientists hope to develop therapeutic targets. Because the settings need to be exactly right to get a good look at the electrical signals, there's a lot of "voodoo" about using the rig. After a lab member had a particularly good reading, a nearby Spiderman action figure became a good luck charm and is now secured to the rig for continuing good mojo. This week's Images from Around the Lab were contributed by Harald Sontheimer's team in the Functional Neuroimaging Lab at the University of Alabama at Birmingham. Special thanks to Research!America's Stacie Propst for taking the photos and to Vishnu Cuddapah for explaining the equipment and the use of action figures in the lab.